Not quite the attention seeking thread the title suggests. Basically, when i saw the pics of my rx7 fb ( before it turned up) I had lowering, wide JUN style arches and 80's meshed alloys in mind. no question. When it arrived however, it turned out to be mint. The arches are rust free, in fact they're bordering on mint. Is it stupid then, to fit arches? I know its my car etc etc but cutting into such clean metal seems a bit daft? I assume that, asides from bolting them on the arch lip needs to be timmed back. Previously on my drift cars I've just taken all the sheet metal out and rivet on crappy 50mm over fenders..but those cars were never clean! I suppose the other route to go down is lower it and fit some nice fitting wheels - perhaps a subtle arch roll (not a bar and a mate driving forward and back..I've not done that before..honest). My issue is the car is quite long and thin and I'm not sure it will put off that wide/squat look. any advice/pics to point me towards? What would you do? Personally I like them pretty much the way they are , but that's me. Once you take the knife to it, it is very difficult to go back, not that I do not like the look of modified 7s, I do, but a VGC car is a rare thing, it always seems a shame to make permanent changes. 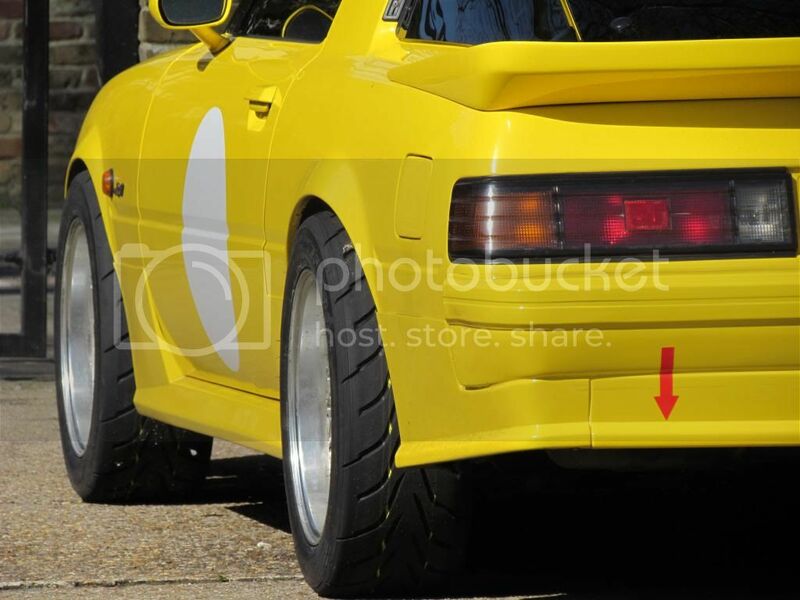 Matt_j_smith wrote: My issue is the car is quite long and thin and I'm not sure it will put off that wide/squat look.any advice/pics to point me towards? What would you do? Need a lot of Money to keep or bring the car in good condition. Modify the fender flares, welding, painting,lowering the car not even a cheap thing to start your hobby. These cars look so good slammed on nice wheels but otherwise externally untouched. With flares, you only need to cut the arches if you go really low. Cutting the front wings/guards is easy enough. No need to repaint. Cutting the rear guards will need welding to put the inner arch back onto the outer quarter as it's structural. If the arch is high enough up you can hide the welds under it and again no paint. It will never go back to original again EVER. I've done it before. Sills 3 inches off the road fixed (no coilovers). I have thought about whether I could put arches on my car or not. There are some pretty sweet looking cars with them aye. TOOL wrote: These cars look so good slammed on nice wheels but otherwise externally untouched. Ive had very low, wide cars in the past but they've never been particularly clean in the first place. One of the wider arched car did have all the structural work done to the rear arches - but as you say - it would never be the same. This is clean however! I agree re. a stock car being worth more. I think I will look more into lowering it a bit an finding some nice wheels - Ill keep the originals. I have a friend that can roll the arch lip, that shouldn't make any external difference. Like said each to their own I have them but had too due to my choice of wheels sticking well out of the arch but I like them.